“Lombok was not as famous as Bali and nobody had faith in Lombok like I did,” Stephan Servin, the General Manager of The Santosa Villas and Resort in Lombok, Indonesia, who is also the Chairman of Lombok Hotels Association, said to me about the island just next to Bali called Lombok, part of the Nusa Tenggara Barat province. “People kept comparing Lombok to Bali, but truthfully, Bali is Bali and Lombok is Lombok,” he added. Mr. Servin was certainly right, although both islands do share certain commonalities. I must admit that there is definitely more to Lombok than just being apathetically referred to as the ‘second Bali’. From what I can tell, Lombok is an island of its own, unbelievably dry and hot, with the population comprising mostly Muslims. The island possesses lesser Hindu temples than Bali and every drive here is in the shadow of Mount Rinjani. Lombok is fast becoming one of the most idyllic destinations in Asia. The island is home to some 3.16 million Indonesians,whereby 85% are the Sasaks, whose origins are presumed to have migrated from Java in the first millennium B.C., another 10% are the Balinese, while the remainder comprises the combination of Chinese, Javanese, Sumbawanese and Arabic descent. The Sasaks are culturally and linguistically closely related to the Balinese, but they are Muslims. 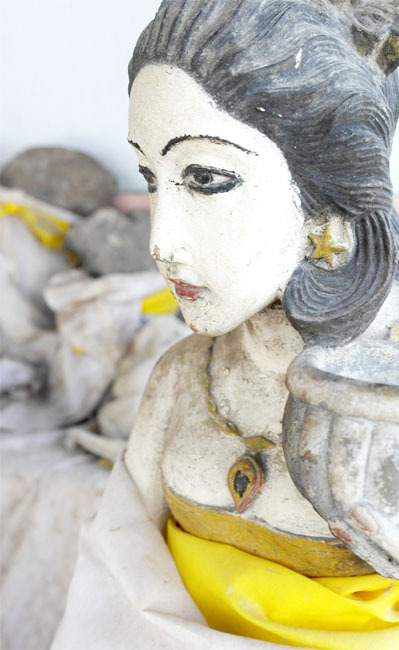 The presence of Hindu temples on the island harked back to the past when the Balinese occupied the island back in the 17th and 18th centuries. One of the most amazing things that I have ever witnessed in Lombok is definitely the Khuta Beach (yes, sounds the same as the one in Bali) and Tanjung A’an (Cape of A’an). Facing the Indian Ocean with white sandy beach, this is the place where tourists from all over the world can witness the magnificent blue ocean. I was smiling from ear to ear just by enjoying the sea breeze and witnessing the expansive view. Due to the strong waves, Tanjung A’an and Khuta Beach is actually the place for professional and experienced surfers, but not beginners. By the way, the place is swarming with persistent peddlers of all ages pressing tourists to buy their handmade bracelets and songket (woven fabrics with simple yet colourful motifs). To avoid such peddlers, here’s a bit of advice: do not make eye contact with them and politely say “enggak perlu embak/pak”, which means “I don’t need it” and walk away fast. But if you are comfortable to buy from them, go ahead – you might just be able to stop them from bugging you further once you buy their item(s). If you can’t get enough of the magnificent view of the ocean, then head to the viewing point at Senggigi, which is one hour away from Mataram (the island’s capital). The journey was bumpy due to less than ideal road conditions, but the refreshingly strong sea breeze and the brilliant vista from the viewing point made the journey all worth it. Sade Village is a traditional Sasak Village that can only be found in Lombok. It is an ancient village that has been around for almost four hundred years. 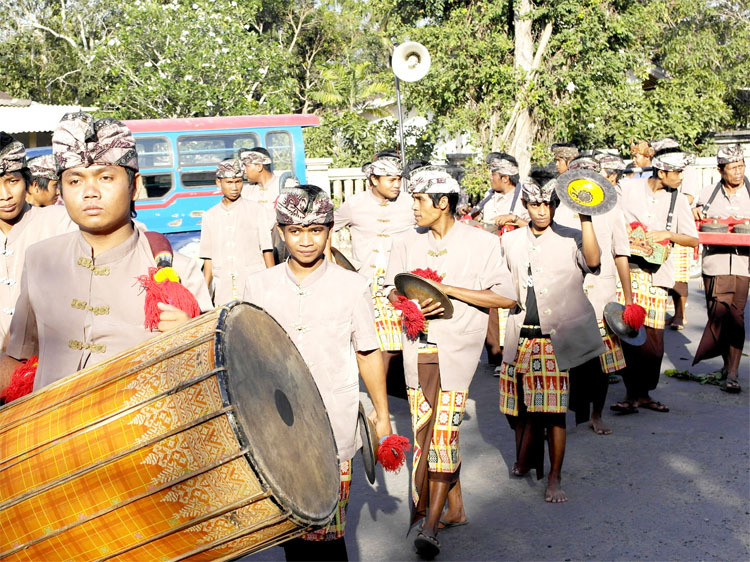 This traditional village is located in Central Lombok and takes an hour to get there from Mataram. This timeless village is populated by the Sasaks, Lombok’s largest community, who are also Muslims. 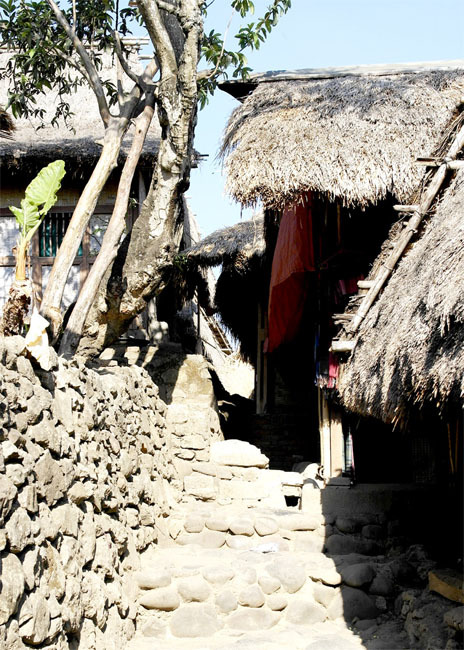 What is unique about this ancient village is that the walls of each house are made from the mixture of clay and cow dung. However, it was such a relief that guests do not need to hold their breath when visiting these traditional houses because there was no unpleasant odour emanating from the walls. Due to their diminutive sizes, it was interesting to think how can a family of five stay in such small houses without any fan or air conditioner. It is such a mystery to see that the villagers can live comfortably in such conditions. There is also a donation box for visitors to offer contribution in helping the village to maintain its upkeep. Anak Agung Ngurah Karang Asem, the Hindu King of Mataram, built a park called Narmada in 1727 as a place for Pakelem ceremony, held every full moon during the month of October to November. Narmada Park was also once the place where the Hindu Royals’ rested after their travelling from Bali. Narmada Park consists of many areas, including Hindu temples. What interested me the most was the ‘Balai Pertirtaan’, commonly known as the ‘Water of Youth’. Some people told me that the water, which is believed to flow down from Mount Rinjani, contains properties that make those who drink it youthful. 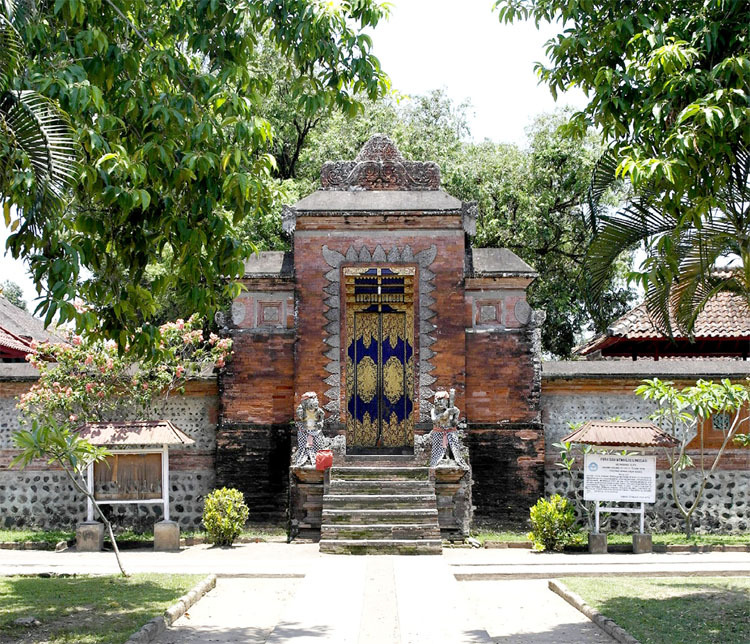 Besides Narmada Park, Pura Lingsar temple built in 1714 by the Balinese Hindus is also interesting because it represents the blending of Hindu tradition with ‘Wektu Telu’, referring to the Muslims who only perform their prayers three times a day instead of the mandatory five. Pura Lingsar is not just for Hindus to use for worshipping but it is also significant for Muslims who practice ‘Wektu Telu’ to use the place to hold important cultural and religious events. This dual heritage makes Pura Lingsar an important symbol of unity among the island’s faiths. Mid-December would be the best time for guests to visit this cultural site to witness the festive war called ‘Lempar Topat’ (‘Topat Throwing’). During this festival, representatives from both Hindu and ‘Wektu Telu’ communities put on elaborate costumes and squared off in a wild mock battle by throwing balls of sticky rice wrapped in coconut leaves called topat to each other. If you still think that Lombok is not as cool as you expect it to be, then head to Gili Trawangan, the island’s mecca for backpackers. From Bangsal, you can simply take a public boat to the three ‘Gili’ or islands, namely Gili Meno, Gili Air and Gili Trawangan, the most popular. Here, I found myself constantly surrounded by reggae music, countless beach bars, elaborate seafood buffets, energy-boosting drinks and eye candies. Gili Trawangan is relaxed and laidback where everybody here seems to know everybody. With neither cars nor motorbikes, tourists and locals simply walk or cycle around. Just when I thought that Gili Trawangan’s scenery looks stunning during the day, I realised that it even looked more dramatic during sunset, with Mount Rinjani standing grandly from afar. Leaving Lombok was hard because of my amazing experience there. I truly encourage all readers to go and experience Lombok for yourselves, according to your own pace and travelling style. 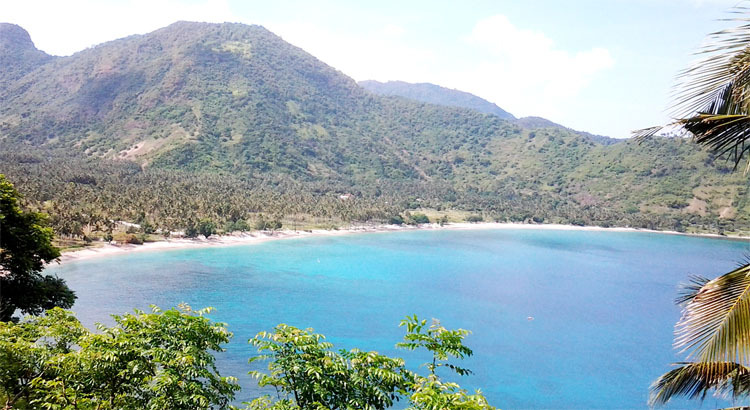 I am sure that you are bound to be smitten by Lombok as deeply as I was. Gaya Travel extends our big thank you to AirAsia and the Tourism Board of Lombok for hosting us throughout the trip. Now, everyone can fly from Kuala Lumpur Low Cost Carrier Terminal (LCCT) to Lombok directly via any of AirAsia’s thrice weekly flights.